Impact drivers achieve high fastening torque with a small hammer-and-anvil mechanism, and Makita Oil-Impulse™ Technology is the solution for reducing excessive noise during fastening applications. Oil Impulse™ Technology utilizes an oil bath in the hammer-anvil mechanism that significantly dampens noise. Makita Oil Impulse™ Impact Drivers are ideal for lower-noise fastening in enclosed spaces, low-noise environments, and occupied spaces. 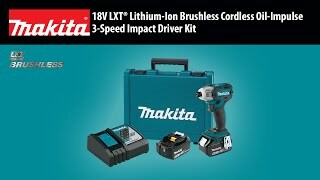 Makita is the innovation leader in brushless motor technology, and the 18V LXT® Lithium-Ion Oil Impulse Brushless Cordless 3-Speed Impact Driver (XST01Z) changes the game in fastening with all the speed, power and ergonomic advantages that contractors demand while significantly decreasing noise level during operation. The XST01Z (tool only) features Oil Impulse™ Technology, which utilizes oil viscosity to hydraulically drive the impact mechanism for up to 30% less noise. In addition, the 3-speed selector with Quick Shift Mode™ provides the user with precise fastening control for a range of applications. 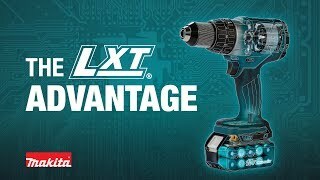 The Makita BL™ Brushless Motor is engineered for longer run time, increased power and speed, and longer tool life. The XST01Z features Extreme Protection Technology (XPT™), engineered for increased dust and water resistance for operation in harsh job site conditions. Net Weight (with battery) : 3.2 lbs. Shipping Weight : 2.8 lbs.